Air cadets from North Tyneside are hoping their latest fundraising effort will be everyone’s cup of tea as they commemorate 75 years since the Battle of Britain. 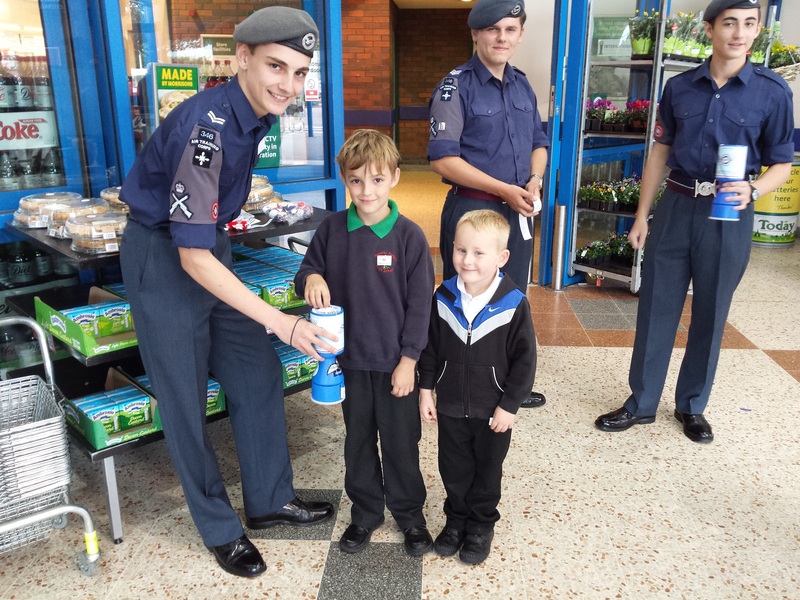 The young cadets’ from 346 (Tynemouth) Squadron ATC will be holding a special Wings’ Week coffee morning on September 19 at their headquarters in Military Road, North Shields. At the same time the squadron’s cadets will be out in force collecting in North Shields and Tynemouth for the RAF Benevolent Fund. It was on September 15, 1940, that the most decisive confrontation in World War Two’s Battle of Britain took place in the skies above London when the RAF’s Fighter Command gained air supremacy over the German Luftwaffe. Last Sunday [SEPTEMBER 13] saw the squadron muster with fellow cadets from across the North East for a Battle of Britain Parade and commemoration service at Durham Cathedral. The Wings Week coffee morning between 10am-12pm will raise money for both 346 (Tynemouth) Squadron and the RAF Benevolent Fund – the British air force’s leading welfare charity. Supported by the squadron’s Civilian Welfare Committee, the coffee morning is one of 346’s biggest fundraising events of the year with money going towards new equipment and benefiting various cadet activities such as the Duke of Edinburgh’s Award scheme. Visitors will be able to indulge in homemade cakes, tea and coffee and chat to cadets. The squadron’s commanding officer, Flight Lieutenant Dan Laidler, said: “Not many people realise that as a voluntary youth group the ATC is a charitable organisation and that while the RAF provides finance for certain key activities the majority of our endeavours and non-military equipment have to be supported from our own funds. The day will also be a poignant reminder of 346’s own historic roots. They are one of the oldest Air Training Corps Squadrons’ in the UK, originally formed in February 1941 to help train-up young pilots in the Second World War. It meets twice a week at its headquarters in Military Road, North Shields, and currently has around 30 young men and women between the ages of 12 and 18 in its ranks. The cadets take part in a range of character and confidence building activities from flying to adventure training, shooting, the Duke of Edinburgh’s Award programme, and parachuting, as well as a host of community initiatives. Cadets can also study for a BTEC diploma in aviation skills and regular training camps are organised at RAF bases across the UK and overseas.